« Clean out your ereader challenge! Interesting haul – some nice variety! I love having a variety of stuff to read. Confuses publishers etc who look at my blog and see such a weird mix of reviews, though, haha. 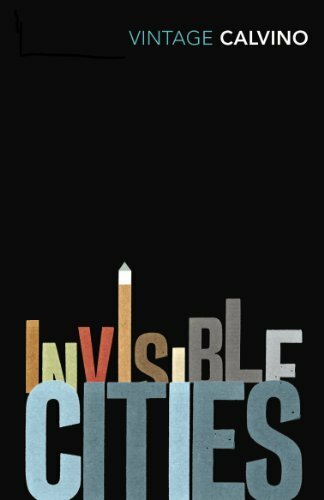 Love that cover for Invisible Cities. Enjoy! I did! Haha. Thanks for dropping by! That is a nice haul. Thank you! I’ve read three of the four already, and enjoyed them all to various degrees, so I have high hopes that I picked well this week, haha. they’re new to me I confess but I hope you”ll enjoy them. Happy reading! Thanks! And yeah, it’s been a good week for reading. Hee, I’m normally worse than that — there are some from my earlier Stacking the Shelves posts I’m sure I haven’t got to, and you only have to look at my 2013 unread list… erk. I’m trying to turn over a new leaf! 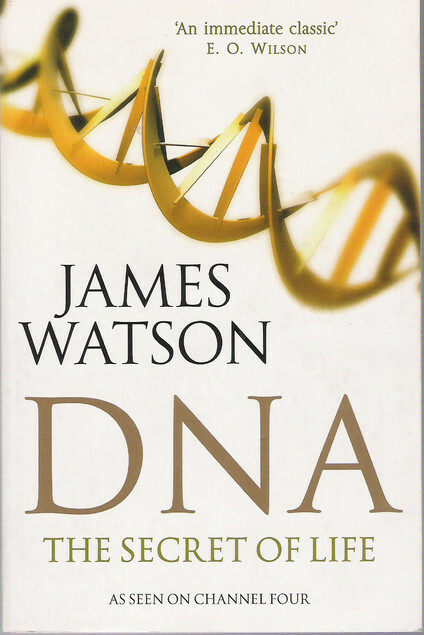 The one left is the one on DNA, partly ’cause I think I’ll read James Watson’s earlier book first. I hope you enjoy yours too! 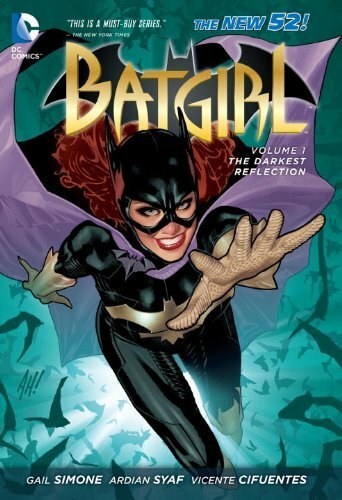 Yeah, I really liked Batgirl! I’m getting the other volumes as soon as I can, I think, haha. Looks like you’ve got an interesting mix this week, hope you enjoy all your new reads! Haha, by interesting do you mean a weird combination? *grin* Thanks for commenting! These are definitely new to me but I hope you love them all. Thank you! 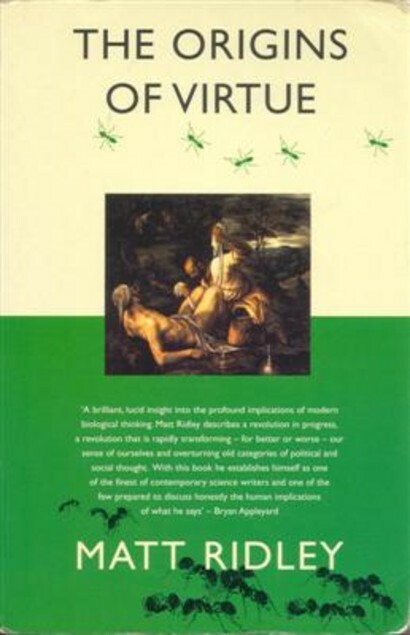 I’ve enjoyed the three I’ve read, and I’m sure I’ll enjoy the book on DNA — it’s written by one of the people who figured out the structure of DNA, so! Yay! Batgirl! Nothing beats a bit of superhero stuff now, eh?! 🙂 Thanks for stopping by! Definitely. Batgirl was a lot of fun! These titles are all new to me, but I hope you enjoy them. Thank you! And thanks for the return visit. Wow I would love to be able to clear all the books I got in a week straight away! Some have been festering on my tbr for YEARS before I get a look at them! This is the year I need to make more effort! Thanks for stopping by my blog. Invisible Cities has such a great cover- minimalist, yet eye-catching. Happy reading, and thanks for stopping by! Yeah, it fits the work itself very well. Thanks for coming by mine! Yeah, I love having a good mixture. Thanks for dropping by! Thanks for stopping by my STS! Very eclectic haul and they all look great! Lovely haul! I seriously need to start reading graphic novels. They can be amazingly fun! I especially recommend Kelly Sue DeConnick’s Captain Marvel. Thanks for dropping by mine in return! Batgirl! 🙂 Looks like a fun haul. I love one of your earlier responses to how publishers react to your variety. Mine is widespread too. Happy Reading! It is! I’ve enjoyed all the books from it (not quite finished with the last one, but still). And yeah, I’ve been denied ARCs because publishers just can’t figure me out.